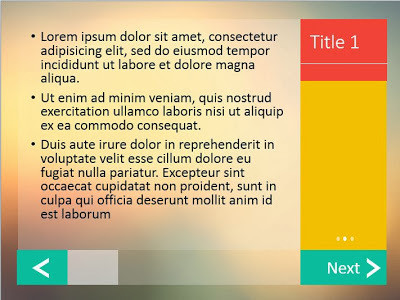 PowerPoint template design is themes flat design. Inspired from the soft and elegant look of windows 8. 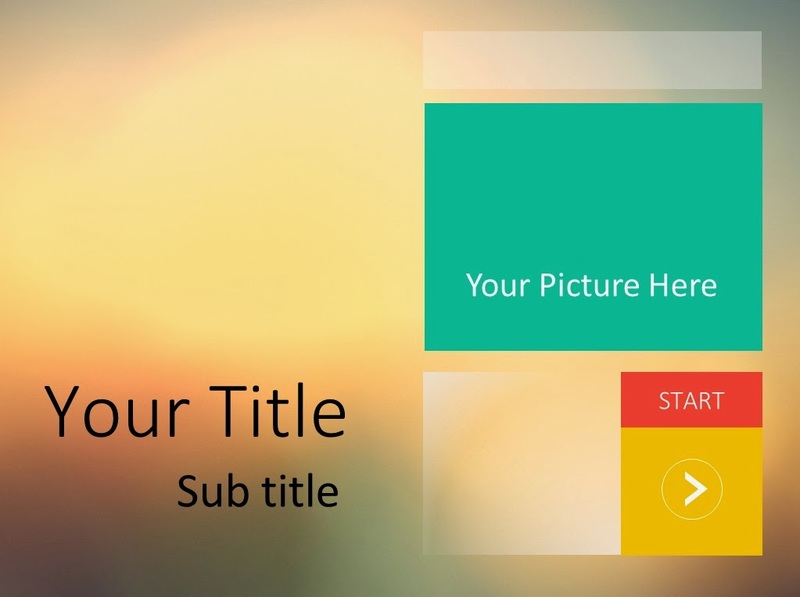 Green, yellow, and red customized with designs that are popular in this PowerPoint. Transparent box is added to increase the sensation of a gentle and elegant design of this template. The display on the front page of the PowerPoint as follows. Calibri is the type of font used for title and sub-title . You can add a photo or image on the display title. Look at the following article page. The concept of flat and colored boxes inserted in the design. White arrows to the direction of the previous page and next page. The title of the article is placed on the red box on the right top . Description of the article is placed on the white transparent box. This PowerPoint designs using animation “Push” on page transitions. Also added animations on every page.